Thank You for stopping by BoldlyExplore. 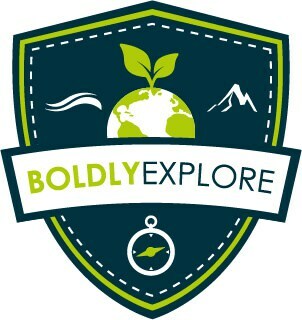 BoldlyExplore is devoted to inspiring and motivating people (you) to Boldly Explore ways to reach your Adventure Travel Dreams and Make a Conservation Difference. Be it in your own backyard or traveling around the world, most importantly discovering ways to make a positive impact on Your Life and Planet Earth. BoldlyExplore is just fascinated by traveling and seeing more of our amazing beautiful planet and hoping you are too! I'm amazed and mystified from nature, wildlife to new cultures and everything in between. By sharing this passion with you, I hope you become inspired and believe you can BoldlyExplore. Therefore, reach your travel adventure dreams and add Conservation actions along the way. Through photography, video, blog posting to information on specific conservation trips, BoldlyExplore is excited to share and inspire you. ​MAKING A DIFFERENCE and IMPACT….